Ruffles, polka dots, heels, combs, shawls, castanets and a lot of style. This is what awaits us under the spotlights of SIMOF 2013, the International Flamenco Fashion Show, in Seville from the 31st of January to the 3rd of February 2013. 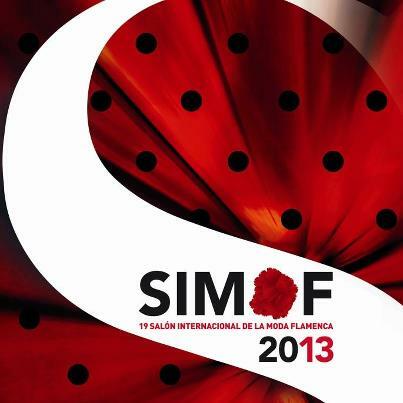 SIMOF is a well known event where the latest fashions and trends in Flamenco Fashion are presented. On the catwalk you can see more than one thousand flamenco dresses designed and created by more than 19 of the most prestigious names in the Flamenco Fashion industry. Among the designers at this year’s event are Pilar Vera, Aurora Gaviño and Mari Paz, Nuevo Montecarlo and Adrián González. Opening SIMOF 2013 will be the creations of the 10 young designers participating in the Young Designers Competition. This year on Saturday the 2nd of February a charity fashion show to raise awareness and funds for the Spanish Cancer Foundation will be held for the first time at SIMOF, all dresses exhibited at this event will be pink. Another first for this year, as a preview to the International Flamenco Fashion Show, will be the Ecoflamenca Show featuring sustainable fashion taking place on the 23rd of January. Well known designers such as Agatha Ruiz de la Prada, Pepa Garrido and Vitorio &Lucchino will present dresses made from organic and recycled material. In the exhibition area, aside from Flamenco dresses, there will be shoes, jewellery, castanets, shawls, perfumes and cosmetics, material and beads from which to make Gypsy dresses and everything related to flamenco and flamenco fashion. 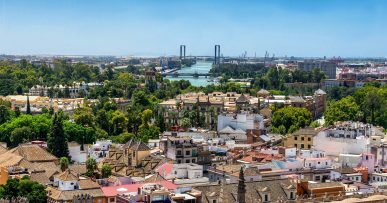 There will be also areas exclusively dedicated to entertainment, an area to enjoy the best tapas and flamenco between fashion shows. 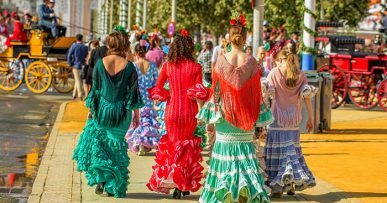 Buy your Flamenco dress for the Seville April Fair! Admission: 5€ to the exhibition building, 10€ to the fashion shows. Children under 7, free. Admission to the Charity show free.